This article explains how to Install VLC player in Ubuntu 18.04 using snap package manager. 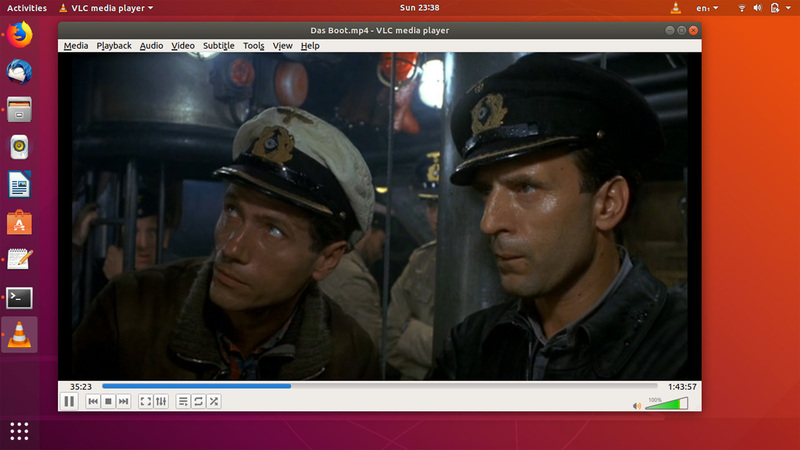 There are a number of media players available for Ubuntu, But the VLC is by far the best. VLC is Free and open source media player that can play almost all video and audio formats available. VLC for Ubuntu 18 available in both snap and deb format. Snap version is better because you get regular updates. It will download VLC media player and install on your Ubuntu desktop. This the easiest way to install VLC in Ubuntu 18.04. But if you don't like to use command line interface, the VLC player also available to install from the Ubuntu software center. Open the Ubuntu software center and search "vlc", When the package appears, select and click on the install button. In the search result, you will see both snap and deb version of the VLC player. One without ratings is the snap version. The reason we are using snap because snap provides the most recent version of the VLC media player and the VLC will be updated to the newest version whenever a new release is available. To make VLC the default video player, Open Ubuntu settings and got to Details > default applications, Under the Videos select VLC media player. And that's it!! VLC is the best video player for Ubuntu 18.04 bionic beaver, because of its simplified and easy-to-use interface and, on the other hand, it supports all multimedia file formats.